I recently came into possession of a .38 spl wad gun on a Colt .45. Frame.The fellow was a Master BE shooter. This is a great gun to shoot. But how do I find if it is a Maple pistol. 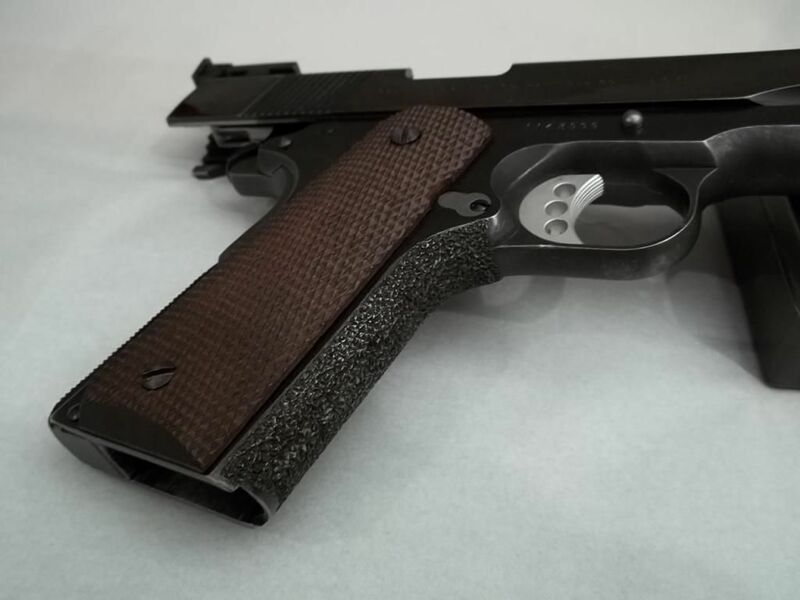 post pictures, of the stippling on the front strap, that will either include him or exclude him as he used a style not used by many old armorers. I had a Maples gun. Take the grips off and he would have stamped his initials underneath "JM". I bought a hardball gun several years ago, and if I remember correctly, the seller told me it was a Jack Maples gun. It didn't mean anything to me at the time and I had forgotten about the name until this thread reminded me of it. I took the grips off and there aren't any initials; however, it does have unusual stippling. Would this be a Jack Maple pistol? 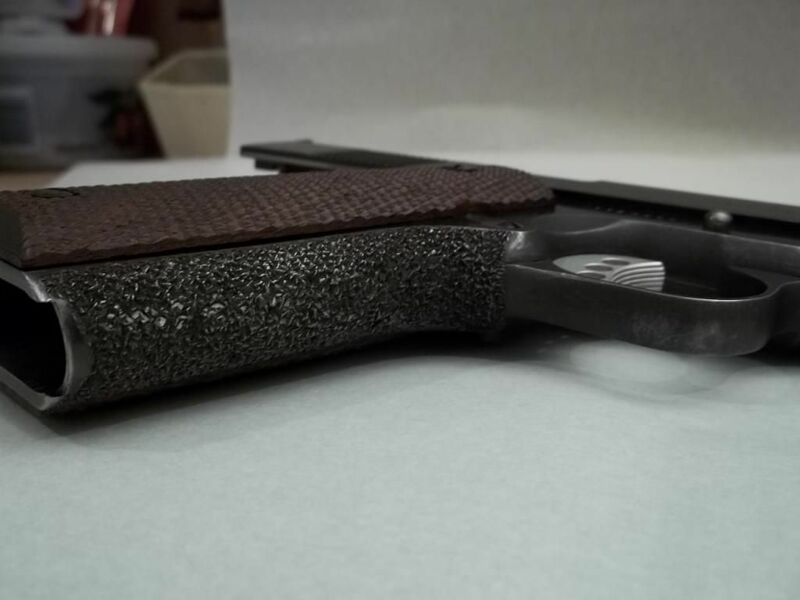 DavidR wrote: post pictures, of the stippling on the front strap, that will either include him or exclude him as he used a style not used by many old armorers. DavidR, I took some pics of the stippling and it is identical to those pictured in Swissyhawk's photos. Any help? Are they both Maple guns? When I can figure how to post pics I'll send some. Jack Maple passed away on July 2nd. wow sorry to hear he passed, hard to say it looks a little different but then it also looks like what Travis Strahan did too.